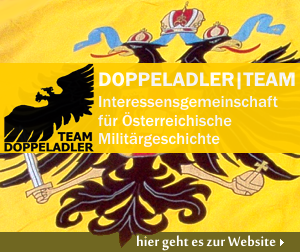 Welcome to DOPPELADLER.COM, a private platform for miltary historians, enthusiasts and model builders interested in the Austrian military history. Our focus lies on the Austro-Hungarian Empire and the Austrian Armed Forces of present time. Austrian Armed Forces – an overview. The RAL 7013 Documentation Project with Facts & Figures on the equipment of the Austrian Armed Forces. For an automatic translation in other languages please click on the appropriate flag in the sidebar menue “DOPPELADLER.COM TRANSLATOR” on the right collumn.